Two months of NBA action is in the history books and we have seen some sensational performances during this period. LeBron James had his first 50-point game with the Los Angeles Lakers after scoring 51 points against the Miami Heat. Blake Griffin had a career-high 50 points in the win against the Philadelphia 76ers. Kevin Durant had a standout performance against the Toronto Raptors on the road, in the absence of Stephen Curry, and scored 51 points. Let us take a look at three best individual performances so far this season. 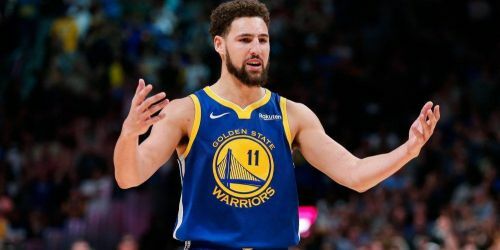 Klay Thompson did not have a great start to the 2018-19 NBA season and was struggling to get it going from his favourite region, the three-point line. After a string of poor performances, there was a lot of pressure on him and everyone expected him to go off sooner than later. Quite expectedly, Thompson erupted for 52 points in Chicago when the Warriors played the Bulls at the United Center. He hit a record-breaking 14 three-pointers in the game and went 18-for-29 from the field. The Bulls defense had no answer for the 28-year-old as he was knocking them down from anywhere on the court. 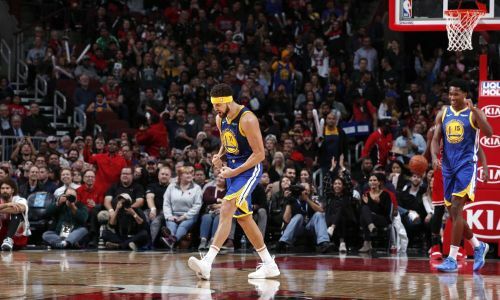 Thompson started the night hot and scored 22 points in the first quarter and the Warriors took a 44-28 lead over the Bulls at the end of first quarter. He then followed it up with a 14-point performance in the second quarter and the Warriors entered half-time with a huge 42-point lead. In the third quarter, he scored 16 points and ended the game with just over 26 minutes of action. He was on the bench for the entire fourth quarter as the Warriors were already dominating the Bulls.